It’s that time of year again when worlds collide. I am from West Virginia, where college football fans are pretty darn adamant about what they will be doing on Saturday afternoon. I have also lived in Texas, where NCAA football is the state obsession. Now I live in Oklahoma where the sport can best be described as a sickness. I love sports as well, but I am not going to schedule my weekend around kickoff times. First pitch maybe. The problem with college and NFL pre-season football is this….IT IS STILL BASEBALL SEASON! 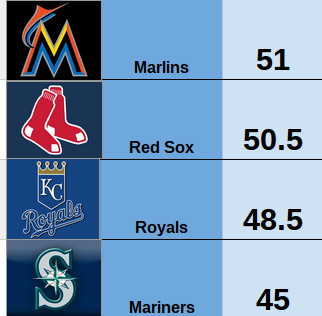 In fact one could argue this is the most interesting time of the hardball season, where pennant races are heating up. Bowl games are still 3 months away. Baseball gets the same treatment in September that Thanksgiving gets in November. People are so overwhelmed by the bombardment of Christmas advertising and hype that Turkey Day is nearly forgotten. Well, respect the Turkey….and respect the horsehide. 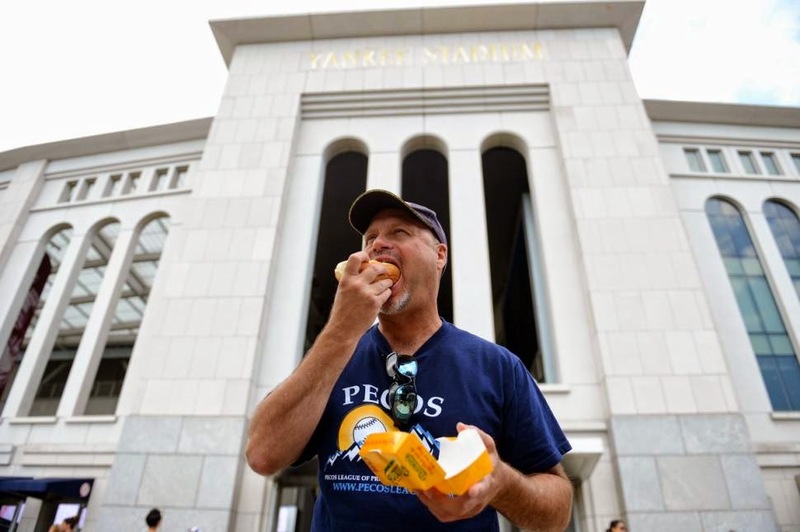 No to worry though, your intrepid Hot Dog Explorer has a detox plan for you that allows you to enjoy both sports. It’s a 6 step program. Step 1: Pick either NFL pre-season or NCAA football as your poison of choice for September. Step 2: On the Saturday or Sunday that you have football free (based on your choice) go to the ballpark (if one is near you) or catch a baseball game on TV. Step 3: Pick up a pack of Hebrew National franks at your local supermarket. Step 4: On days you can’t get to a baseball park, grill the HN franks for you and your friends/buds/family. Place on bun with mustard, relish and consume. Extra points if you have the baseball game on the radio WHILE your grill. 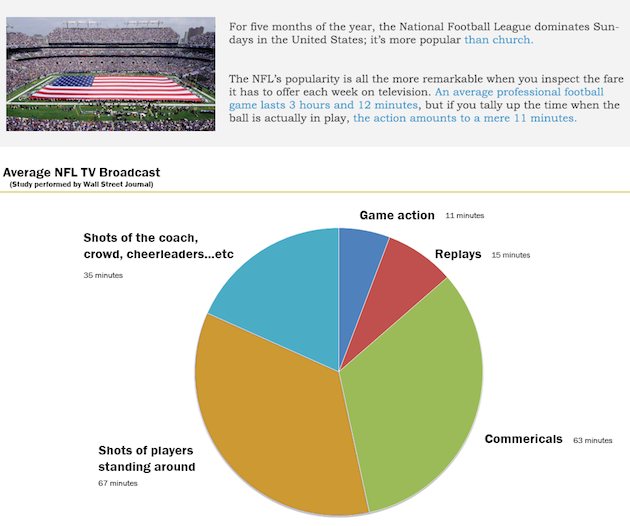 Step 5: During the baseball postseason devote 80% of your sports mind to baseball, 20% to football. You can do it. Step 6: Remember that while hot dogs taste best at the baseball park, they aren’t too bad at the football game either. And for the love of God, don’t put your Christmas tree up until AFTER December 1. Give the world a break. Lastly, don’t forget that packs of Hebrew National franks make lovely Christmas gifts. Now you know what to get me. Well, that and a pony. The results are in. After 103 days on the road, exhaustive research and nearly 100 hot dogs I have tabulated the results for your viewing/discussing/cussing/hating/enjoying pleasure. I know many of you will disagree with how it finally shook out. But remember this: I had a system. Sure it was subjective, but all venues/teams had a scorecard and the results are what they are. I am as disappointed as many of you. 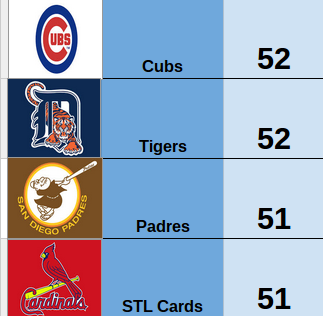 The Padres, my favorite team, scored very low. And, like many of you, I was shocked to discover how poorly the vaunted venues of Fenway and Wrigley fared. Many teams were the own worst enemies when it came to landing a good score. Some had great dogs and mediocre stadiums, and for others it was just the opposite. A few could have been contenders but you can't offer a great dog in a terrific ballpark and then price the average fan out. Baseball is a the game of the people, not the elite. 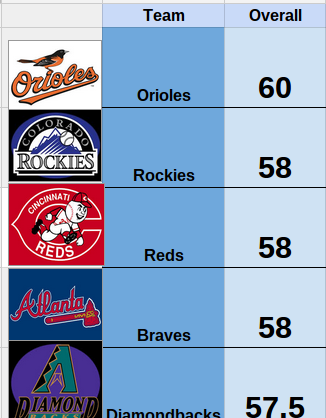 In short, the standings were as surprising to me as to many of you. And there were some subjective variables. A $15 ticket in a small or medium market was judged more harshly than a ticket of the same price in a city known for being over the top expensive. While it wasn't an exact science, there was a method. 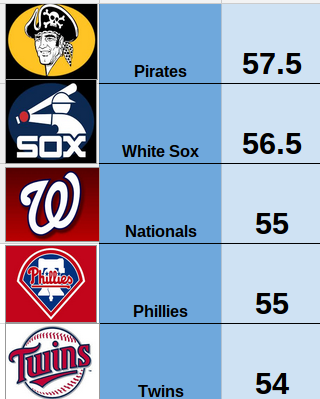 Baltimore gets top score as the only team to pull off a perfect rating. 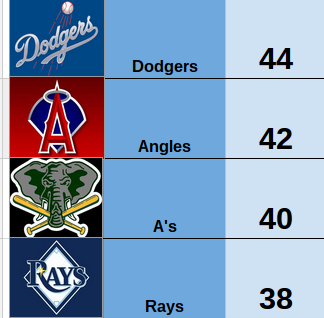 The Rays land in the cellar in a catastrophe of a ballpark. Enjoy the most? Pittsburgh. A true gem, and the city where I saw my first MLB game. Even the rain couldn't put a damper on PNC Park. Find most surprising? Target Field in Minneapolis. I really enjoyed that place. Great new venue. Respect the most? Nationals Park. It is a LEED certified park (Leadership in Environmental Engineering Design). Green is cool. Couldn't wait to get out of? Oakland. Crappy cookie cutter stadium in a not so great area. Feel the vibe the most? Fenway....how could you not? Think should move? Tampa or Oakland. Hello Portland? Recommend to foreign tourists? Wrigley or Fenway. Below is the score sheet for OVERALL score. I'll break down the best dog and then ballpark in a later post. 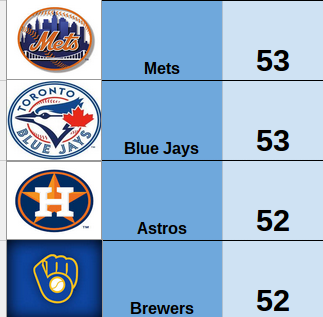 The scores below is the combined baseball/hot dog experience, which I was exploring. Enjoy, rejoice, cry or complain. Disagree? I'll be happy to talk dogs and baseball with you next year at the ballpark of your choosing? I'll even let you buy me a ticket and a beer. 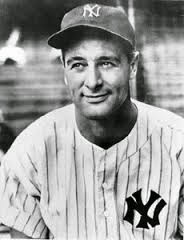 Lou Gehrig was one of the best players to ever set foot on a baseball diamond. His streak of games without missing a start stood for decades until it was finally surpassed in the 1990s. The man was a machine, indestructible...until he was stricken with ALS. Rick Bennett, CIO of T.D. Williamson, Inc.
It’s refreshing and exhilarating...trust me. And please do what you can to help eradicate ALS. I love it when my blog followers contribute. This blog is the first (of I hope many) guest bloggers. Stacy is a dietitian from Tulsa who professionally analyzes her dog selection from ONEOK field, home of the Tulsa Drillers. She channels her inner Clint Eastwood to get the dog off her lawn and into her tummy. Thanks Stacy, from all of us ballpark dog lovers who wanted to (or maybe didn't want to) know what we were letting slide down our gullet. The Good: According to the USDAsupertracker an average “hot dog with bun” provides 250 calories and 9 grams of protein, roughly equivalent to a Power Bar. It also boasts significant amounts of several important vitamins; B-12, Thiamine and Niacin. Take me out to the Ballpark! 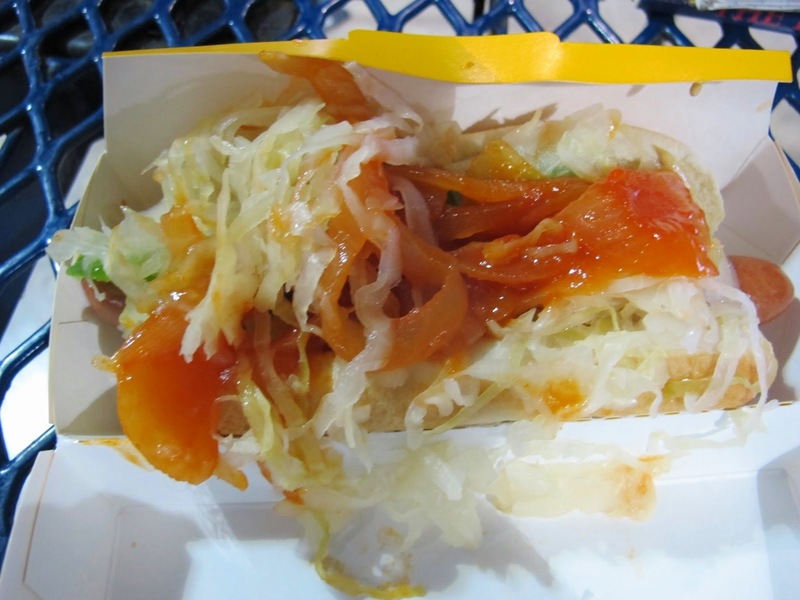 The Ugly: There is nothing pretty about a foiled smashed, grease soaked bun and watery pump relish. In my humble opinion dog should meet bun just seconds prior to service. Relish should be available in a serving dish, nestled between onions and jalapeno friends, flanked by pumps of spicy mustard and hot sauce. Go ahead hot dog world, make my day! 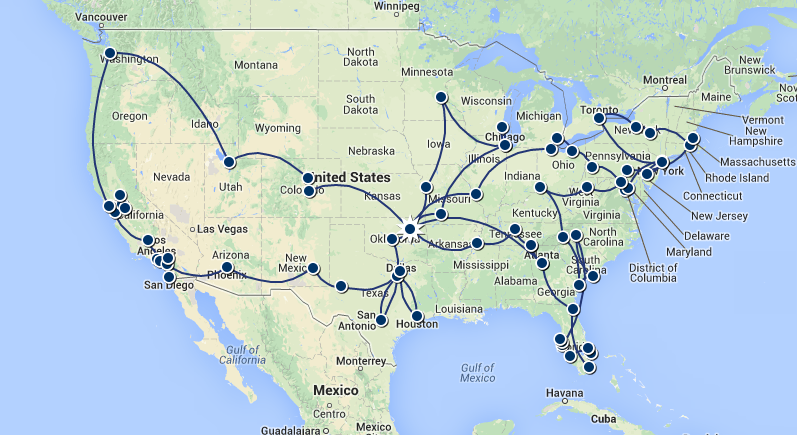 Now that I have had some time to distill the numbers, and so many have asked, below is the bare bones anatomy of my baseball/hot dog road trip. It might also explain some of my random ramblings while hacking out my blog posts at a coffee shop in a town I had never been to before. While the games were exhilarating, the driving was mind numbing. Days: 103 glorious baseball-filled days of crisscrossing the nation. Countries visited: 2 (Toronto is in Canada you know). Foul balls caught: 4, all minor league (including 2 at Port St. Lucie) and all on the bounce. Hot dogs eaten: 75 (approximately). Moving violations: one speeding violation on a traffic camera (36 in a 25). As you can see I am a menace. Use the money WISELY Washington D.C. Cost of baseball tickets: $478 (and I got numerous free or reduced price tickets). Cost of parking: $119 (this includes finding free parking 85% of the time). My route: see below, just remember that I was not drunk, and was slave to geography and team schedules. Those are the raw and bare numbers of my mega-baseball/hot dog road trip. More detail will be in my book "Gone to the Dogs" (you are buying my book aren't you?). It truly was an adventure. The blog is not dead. During the rest of the season and until next season I will continue to bring you the world renown expert’s opinion (that would be me) on baseball and hot dogs. 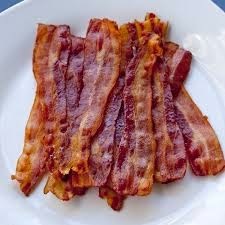 Some interesting blogs are coming including regional dog fights, Monsters of the Major Leagues, best franks, etc. As always, I value your opinion if there is anything in particular you would like to hear about. All things hot dogs and baseball are on the table. In the meantime, there are still a few weeks of Minor League baseball left and I will hit several of those here in Tulsa, come and catch a game with me. And if anyone wants me to test which world series contestants have the best dogs for the fall classic...I am available. Now that I have visited all 30 Major League ballparks (and 35 Minor League stadiums to boot) it’s time for some regional playoffs. Some cities and several states are fortunate enough to have more than one MLB team. It poses a dilemma for fans as who to support, but for the hot dot explorer is it simple science: weigh the factors and make a decision. You can look at my scorecards below, but remember that my visits to ballparks are a snapshot in time. 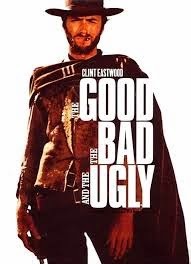 I only judge what I experience, while the regional fans might have more insight. This is your chance to sound off on your favorite dog in the first of a series of Regional Dog Fights. First stop is New York City to see which team’s dog cuts the mustard. 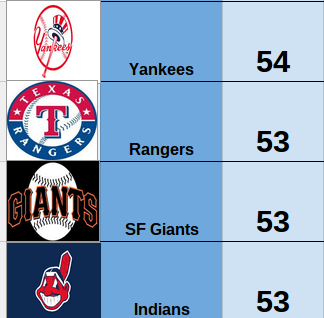 Personally, I found it nearly a draw with the Yankees edging the Mets in total combined score. Here is how it shakes out. But there is more than meets the eye. 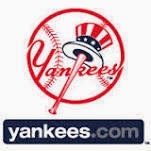 The Yankees enjoyed the benefit of a Sunday afternoon game that was also Old Timer’s Day. That helped pack Yankee Stadium. 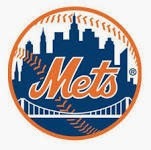 The Mets on the other hand suffered through a weeknight game with windy and wet (and chilly) weather. Those factors could have explained the disparity in attendance and enthusiasm. Plus, Yankee is slightly easier to get to. Both dogs were, at first look, evenly matched. Both teams use Nathan’s Famous franks and those great little cardboard coffins for portability. And, both have a kosher option in which you can get a tasty Hebrew National frank. But the Mets exceeded expectations in toppings and especially specialty dogs. The artery-clogging Pastrami Dog is a meat bomb that is hard to beat. Seats in both ballparks were overpriced, but I really flinched at the prices at Yankee Stadium. I have taken vacations for less. As far as ambiance it depends on what you like. Like tradition with a gothic feel, head to Yankee Stadium. Want a more modern baseball experience with a better baseball vibe, take the number 7 to Citi Field. I am not a New Yorker and have never been a fan of either team, so I don’t have a dog in this fight (so to speak). But given the choice, even though Yankee Stadium scored a hair better, I’d down my dog watching the Mets. Don’t believe me? Here is my scientific proof. At the game I talked to two friends that were also eating a dog. One wore a Mets jersey the other a Yankees jersey. Both agreed, dogs and food in general are better in Citi Field. It pained the Yankee fan to admit it, but he was brutally honest. Been to both ballparks? Live in NYC? What’s your opinion? Did the Yankees dog really edge out the Mets, or would you rather sit next to me in Citi Field. Let’s hear it fans. The book that will chronicle the awesome road trip that this blog covers is now 63% funded via Kickstarter cloud funding. You can be part of history and help bring "Gone to the Dogs" to print by visiting my kickstarter page. ONLY ONE WEEK LEFT TO PARTICIPATE! After a stint in the New Mexico mountains I have landed in Albuquerque, home of Breaking Bad and some mean breaking balls at Isotopes Park. Not to be confused with the Springfield Isotopes of The Simpsons fame. This AAA farm club of the Dodgers sports power and speed that would make Walter White proud. After an arroyo misadventure that included goat head burrs, a dry river channel, a dog, a fall and a likely broken finger I was ready for some baseball. Isotopes Park is on the fringes of downtown Albuquerque and across the street football field (that’s the pointy ball). The approach walkway is adorned with a circular stack of gigantic baseball bats and the structure itself has a section of colored glass windows reminiscent of mid-century modern architecture. The park has clean lines, a hi-def scoreboard, a tiered outfield berm for GA seating and a double decked grandstand. The pale browns of the textured and smooth block add to a futuristic southwestern look. Think Buck Rogers meets Lone Ranger. Bun-it was fresh but slightly dry. Taste-the ‘topes made a smart choice by going with Hebrew National. Minus ½ point due to the room temperature of the dog. Toppings-super selection! Everything a dog lover could want including green chilies to add a local flair. Price-at $4.25 with those toppings you can’t complain….at least not too loudly. 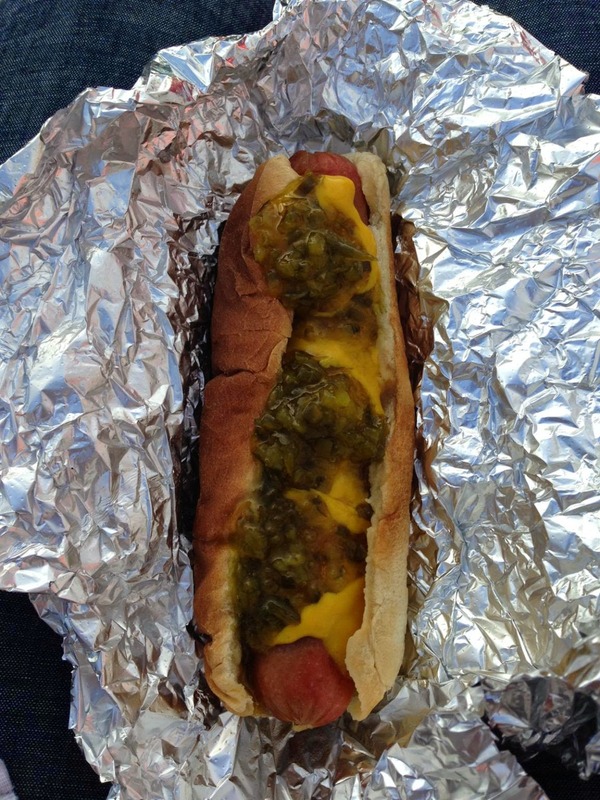 It Factor-you have not lived until you have had a Lasorda dog. Tommy would approve. Access-walkable from the Nob Hill area and University of New Mexico. GA Ticket Price-$7 for a grass berm is nearly a great deal….$5 is better. Cleanliness-one of the cleanest parks yet. Ambiance-while not a retro park, Albuquerque got it right. It reminds me of the new Twins’ park but on a smaller scale.